Lindera neesiana (Nces) Kurz, Prem. Report Forest Veg. Pegu, Appened.A: 103. 1875, Appened. B:74 (in clavi) ; For. Fl. Brit. Burma 2:309. 1877. "(Blume) Kurz" ; Hook. f. F l.Brit. India 5:183. 1886.--Benzoin neesianum Wall. ex Nees in Wall. Pl. As. rar. 2:63. 183l.--Tetranthera neesiana Wall. Cat. no. 2588. 1830. nom. nud. ex Nees in 1. c. 63. pro syn .--Aperula neesiana (Nees)Blume, Mus. Bot. Lugd.Batav. 1 (23):366. 1851; Mcissn. in DC. Prodr. Fissistigma shangtzeense Tsing et P.T.Li found in Guangxi and southwest of Yunnan province of China.The fresh flowers have a pleasant odor.The essential oil from Hekou country of Yunnan province was analyzed by using GC/MS and GC/FTIR. Forty components were seperated in which thirty three components were identified. As the result,the linalool(34%),terpineol(20%) were found as main components in the essential oil. Osmanthus lipingensis J．D．Liu,sp．nov．(Sect．Osmanthus).Species proxima O.attenuato P.S.Green et O.urceolato P.S.Green,ag illo foliis serratis,pedicellis longisoribus 5-8 mm longis tubo corollae lobis longiore,filamentis in basi tubi sorollae insertis;ab hoc petiolis brevioribus,5-8 mm longis,corolla campaniforma non urceolata,tubo breviore,vix 3 mm longo differt. Phalaenopsis minor F. Y. Liu, sp. nov Species nova proxima P. violaceae Witte. sed floribus minoribus, sepalis petalisque 13-16 mm longis 6-7 mm latis ,labelli lobo intermedio subobcordato distincta. Ahstract The stem-segments of S.lineare were cultured under the light of different wavelength with similar irradiance. By comparing the morphogcnesis and physiobiochemistry of the test tube shoot, the results showed that in some cxtent, the shoot number, biomass, green pigment and the content of carbohy- drates, proteins, total nucleic acids,. RNA and DNA were influenced by the light of different wavelength. The biomass of shoot under blue light is the highest, the green pigment under white light is the highest. Red light is good for sugar synthesis and blue light is good for all others. The chemical components of the essential oil form Abies faxoniana,an endemic species to China,were analyzed by retention indices determinations,authentic sample superimpositions,and GC-MS-DS determinations. The peak areas were calculated with a LCI-100 integrator. Of the 242 components isolated from the essential oil by a 50m×0.25mm i.d.bonded methyl silicone fused silica glass column,50 components which make up 97.12% of the total oil were identified.The major components are limonene(41.53%),α-pinene(22.31%),and camphene(17.87%)etc. From the rhizome of Panax japonicus C.A.Meyer var. bipinnatifidus (Seem. ) Wu et Feng, collected in Qinling Mountain Shaanxi, China, ten saponins were isolated. By means of 13C NMR, EI-MS and comparw with authntic samples, which were identified with chikusetsusaponm V(yield: 2.20% ), IV (0.022% ), IVa (0.20% ), zingibroside R1 (0.026% ), ginsenoside Rb1 (0.122%), Rd (0.085%), Re (0.06% ), Rg1 (0.085% ), Rg2 (0.058% ) and 24 (s ) -pseudoginsenoside F11 (0.016% ), respectively. From the similarity of saaponm constituents between var. bipinnatifi-dus and other varieties of P.japonicus, there are suitable that var.bipnnatifi- dus as a variety of P.japonicus and as a geographic substitutc form of var. major in more high elevation and more high latitude. Six compounds including two new triterpenes were isolated from the root of Actinidia eriantha Benth. Dy spectral analysis (IR, MS, 1H NMR, 13C NMR) and preparation of derivative the structure of the new triterpencs were elucidated as 24-acetyloxy-2α, 3α -dihydroxyurs-12-cb-28-oic acid and 2β, 3β, 23-trihydroxyurs-12-en-28-oic acid named eriantic acid A and eriantic acid B respectively. The known compounds were identified as β-sitosterol, daucousterol, urrsolic acid and 2α, 3α, 24--trihydroxyurs-12-en-28-oic acid. The best medium to grow immature sunflower (Helianlhus annuus L.) cmbryos is the B, basic mcdium among MS (Murashige and Skoog, 1962), White (1963) ,B5 (1968) and Nitsch (1969) media used in our experiments. When NAA is cmployed in the immature sunflower embryos cultured in vilro, it promotes embryonic growth of the immature embryos mainly. When IAA und KT are used in combination in immature embryo culture, they have considerably regulative actionl the lower proportion of KT/IAA lnakes young embryo grow roots only while the higher proportion grow buds. Similarly, nature plant extract apparently promotes development and growth, globular embryo of sunflower can normally grow into sceedling in the medium supplemented with Bi Qi (water chestnut) Juice. In this article authors have compared carbohydrate contents in secon-dary sink (stem+ leaf sheath) of rice grown at three different altitude localities under the same variety is used and conditions of the same soil, basal and top dressing. The fesults showed that all the contents of total sugar or starch in secondary sink increase as the raising altitude during the +full heading time and the yellow ripe stage. As compared with the full heading titue, their contents increase at the high-altitude,localities, but deerease at the low-altitude localities, during the yellow ripe stage. At the full heading time the starch contents in secondary sink decrease as the increasing dose of basal dressing with nitrogenous fertilizer. At the yellow ripe stage the starch contents in secondary sink of each treatment increase as the increa-sing dose of basal dressing with nitrogenous fertilizer in the warm-cool rice belt. The starch contents in secondary sink of rice tend towards conformity at the low-heat localities, as comparcd with each treatment at different localitieS, however, all the increases of starch contents in secondary sink are due to raised altitude. 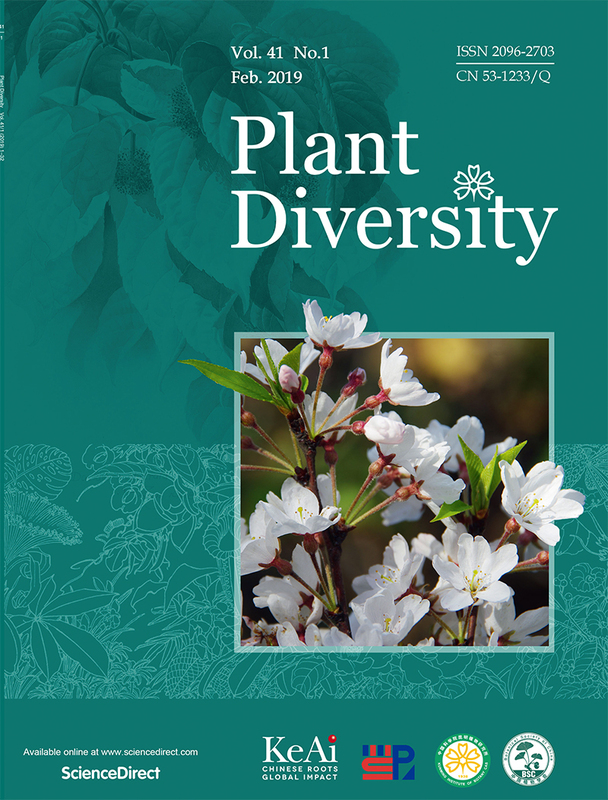 There are 9 genera 24 species and 3 varieties of Loranthaceae discovered in Xishuangbanna region of Yunnan Province,whitch make up 81.8% of the total 11 genera 45% of the total 60 species of China and 90% of the total 10 genera 60% of the total 45 species of Yunnan.The host of these parasic plant species and their populations of the host are changeable in aeeordance with the species of parasites. Similis S. sinensi Rehd. et Wils. et S. nanlingensi Yan, a primo cortice rubro-brunneo et peridermate rubro-brunnea membranaceo-papyracea decorticante ornato, ramis annotinis et vetustioribus rubro-brunneo vel opace rubro-brunneo, bracteis tantum 0.5-0.9 cm latis, petalis 1-1 .4 cm longis, filamentis circ. 10 mm longis, gIabris vel ad basin parce pilosis, seminibus 4.5--6 mm longis; a sccundo bracteis et sepalis apice acutis vel acuminatis usque ionge acuminatis, sepalis ovatis vel ovato-lanceolatis, petalis 1-1.4 cm longis, pedicellis 5-38 mm longis rcccdi1:.Quoque proxima S. monadelphae Sieb.et Zucc. Japoniae. Camellia is a genus with many specics complexes interlocked each othcr.There are four subgencra and twenty sections in Professor Chang Hung Ta's (1981) phylogenetic system of Camellia. Based on the system, this paper furtherly discusses the basic principles guideing the classification of Camellia into fewer taxa and the phylogenetic relationship among them. Then Camellia is suggested to distinguish into two ancestor groups, four subgenera, ten groups and twenty sections. Qiongzhuea is a genus published several years ago. There are 8 species and 1 form in the genus which have been found up to now in China. This genus is endemic to China. The concept of the genus and its relation with the neighbouring genera were discussed. 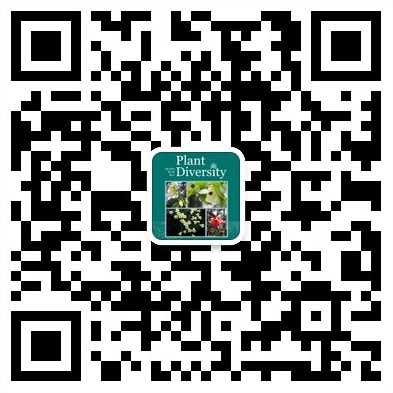 The authors believe that Qiongzhuea, because of its inflores- cence, the culm-node without any aerial-spines ring, its turion season, and the plant chemistry characteristics, is a natural taxon and it is different from the genus Chimonobarnbusa. A key to the spceies of the genus was given. A new species and a new form named as Qiongzhuea intermedia Hsueh et D.Z. Li and Qiong-zhuea macrophylla f.leiboensis Hsueh et D. Z. Li were described respectively. In the karyotype of Paris cronquistii,the variations of chromosome structure and a series process of B-chromosomes produced by break kage of secondary constriction of satelite chromosome were found.These interesting phenomena were received by observation of experiment. The occurrence,accumulator and transmittal of B-chromosome are discussed in this paper. The author recognizes that the breakage of secondary constriction of satelite chromosome has relation to origin of B-chromosome. The present paper recognized that according to the morphology comparison autoallopolyploid Sequoia sempervirens with genomic formula AAAABB may originate from the hybridzation between romeone ancient species of Metasequoia and Sequoiadendron which were the parents. Metasequoia glyptostroboides and Sequoiadendron giganteum were direct descendants of the parents probably, which proyided gcnomes AA and B for S. sempervirens res- pectively.The concluson was the same as that based on the karyotypic data, but did not agree with Stebbins' inference that another ancestor,except Metasequoia, was extinct and did not left any close relatiyes. This seedling test used provenances of four countries, sixteen areas from Central America. We surveyed the seedling height and the ground diameter increment of seedling and carried out the analysis of variance when 55 monthes old. We find out: Pinus oocarpa of different provenances, at the same testing situation, the yariance of seedling height and ground piameter are very striking. We have preliminarily selectcd some provenances of those increase more than 114- 126% of control, one of them which comes from Honduras call be used in fores- tation at those places that lower than 1200 meters above sea-level at southern Yunnan.The test has also investigated the geographical variation regularity of mor-phological characters of Pinus oocarpa and the relations between them. Yuanmou river valley is situated in the north-central part of Yunnan plateau. It is one of the most dry and hot river valley in Yunnan province. The vegetation of the valley is somewhat like the "savanna" of tropics. The flora below 1600 m of the valley has been studied in this paper. There are 78 families, 266 genera and 399 species appearing in the valley flora. Large number of tropical plantr, (specially the savanna elements are found in this area. The floristic com- position of the river valley and its relationship to the flora of neighboring district, the India savanna, have been discussed. Lastly, works haye been done in the comparative study on the features of physiognonly and structure with tropical cquatorial rainforest. The discussion and comparison show that the floristic component of the forest oil horizontal distribution there are some species are the preyalence everywllere, others due to the cvolution and spread of specics, new species cvolve, old species die out or come to occupy more rcstricted areas, and according as the different local geo- morphy, soil, climate are formed diversity society, from the further constituted mosaic. these society and mosaic in the same a forestland are striking too. The vertical structure of forest consists of the seven layers in natural forest, and the species of structure each layer, D layer is more than others layer of which appears that have the major independent charactcr interlayer relationship. The trees layer, the shrubs layer, the herbaceous layer and the grounds layes are fundamental synusia and they make up the skeleton in forest structure.